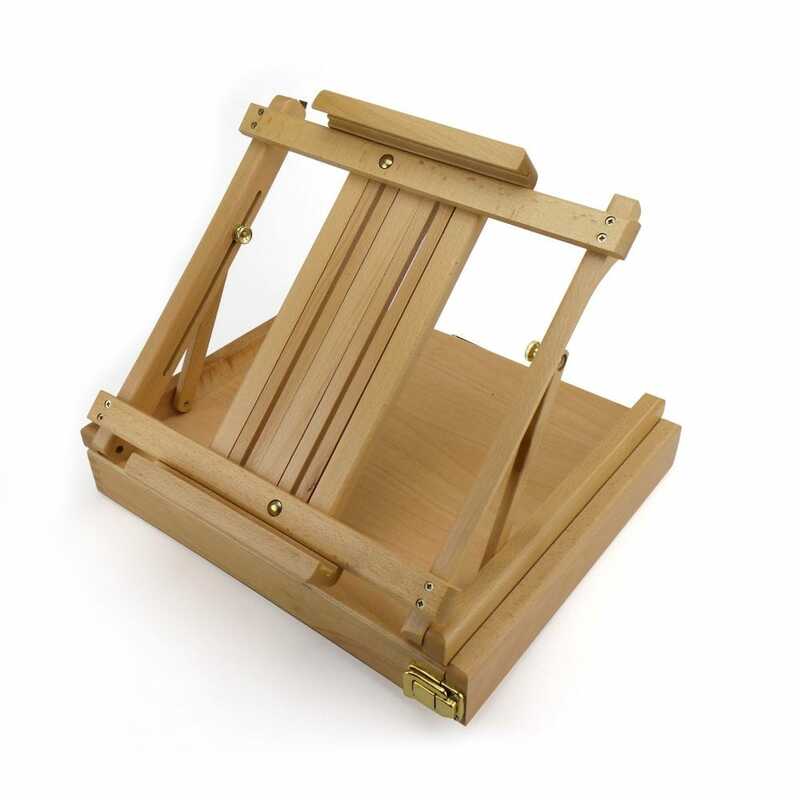 This stylish table station easel is made from seasoned elm wood complete with leather carry handle and brass coloured hardware finishes. The lower canvas support rest can be adjusted to be brought down below the table height which will offer a very versatile painting position. The handy storage draw opens to the side which is ideal when the easel is in use for easy access to materials.